Lost And Found is the first album by The Happy Fallen, a solo project from Manchester's Neale James, an artist who's worked with the likes of Craig Gannon, John Bramwell, Stella Grundy and Ivor Perry. The Happy Fallen is him branching out on his own and the results are quite spectacular. The album opens with Open Wide and it sets the bar high from the start. A song that would feel perfectly at home nestled in the Pulp Fiction soundtrack with clever samples, a repetitive but never dull drum beat with guitars dancing their merry way over the top of it. It's addictively infectious, familiar but with a personality of its own that stands out. I Got Free follows and is half the length but no less impactful - a big stomp that taunts you with its love of glam rock. Lost And Found is a record that's not afraid to think big and walk the talk when it comes to delivering on its often grandiose intention. Planet X is all treated vocals, atmospheric effects and the undying love of a delicious guitar lick lurking down beneath of the surface underneath Neale's natural instinct to experiment. That big bold sound continues into Asylum, a pulsating electronic beat where fuzzy and vocal treatments create an unsettling feeling throughout. The feeling that this album is the product of a unsated creative mind is underlined by Fire Baby. It feels constantly on the brink of explosion into a wall of noise, threatening, building ever so slightly noticeably in pace as it proceeds with a half-spoken half-sung vocal yet never disappoints when it doesn't end in the apocalypse it hinted at. That comes with Monkey Boots where Neale's vocals are almost submerged amidst a haze of guitars, drums and samples, it feels improvised, created in the moment such is its disregard for what people would see as a traditional song structure and it's a theme that permeates the album. Forever Now is laden with dramatic effect created by the feeling that there's enough ideas for several songs in it. It's where the album feels most like a melting pot of ideas as it moves from big imposing section into a drop down and back several times without it ever feeling completely unnatural. The start of Ultrawave kicks the door down and makes us consider this is what U2's Zooropa might have sounded like if they were able to see past their egos and deliver on their script - it, along with Open Wide, are the two best tracks on here. The album finishes with what's labelled as an acoustic track Move On. It strictly doesn't meet that definition, but the vibe compared to what's gone before does. It shows that stripped of the effects elsewhere Neale's voice works in more traditional surroundings with a longing wistful hue to it. Lost A Found is a labour of love, a fusion of a man's ideas into a record that'd be impossible to categorize such is the range and depth of it. It works because it doesn't veer off into psychobabble or try and be art for art's sake - it knows the value of a hook line but also that a song needs more than that to keep a listener interested. Its lack of coherence as a complete album is actually to its benefit because you don't quite know what's going to happen next and what you've heard so far stops you reaching for the stop button because you're intrigued where the trip will take you. 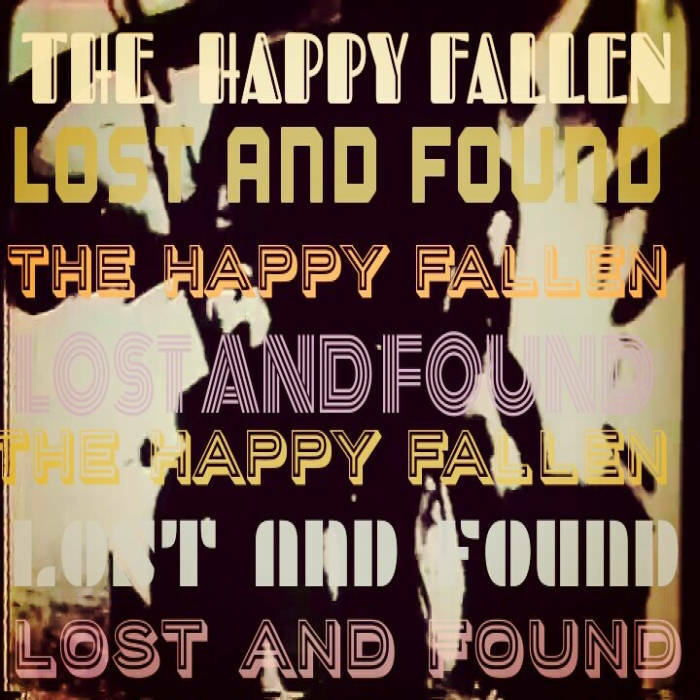 The album can be purchased from The Happy Fallen's Bandcamp page. 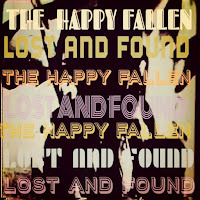 The Happy Fallen are on Facebook and Twitter.